The article speaks about the heroics of Lynn which led to victory of Kolkata Knight Riders over Royal Challengers Bengaluru in the IPL 2014 Match on 24th April, 2014. Before the beginning of the match on 24th April, 2014, Royal Challengers Bengaluru were hot favourites against Kolkata Knight Riders. It has been seen in the last few matches that Kolkata Knight Riders had struggled with the batting. Gautam Gambhir had scored ducks after ducks. Other than Manoj Pandey and Jack Kallis there was no one in the team who had shown consistency. But the team had strength in bowling with the performances of Sunil Narine, Vinay Kumar and Morne Morkel. Royal Challengers Bengaluru had been very consistent with the batting. Parthiv Patel, Virat Kohli, Yuvraj Singh, AB De Villiers all were in tremendous form. 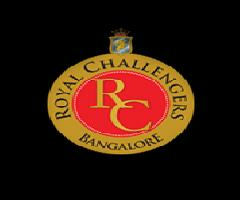 So chances were more in respect of Royal Challengers Bengaluru defeating Kolkata Knight Riders. Virat Kohli won the toss and elected to field first. Gautam Gambhir continued his nervous start. He got out LBW before Starc and scored his third duck. Manoj Pandey also made 5 runs and went cheaply. After that Kallis and Lynn steadied the innings. While Kallis was cautious, Lynn attacked Muralidharan. He scored 45 runs of 31 balls with 3 boundaries and 3 over-boundaries. Most of his runs came of the bowling of Muralidharan. Kallis played a watchful knock and scored 43 runs of 42 balls with 2 boundaries and an over boundary. Wickets went on tumbling at every level, with big hitters like Yusuf Pathan going for duck. Kolkata Knight Riders scored 150 runs in 20 overs which was very much chaseable. Royal Challengers Bengaluru made a brilliant start with 67 runs for the opening partnership. Takawale scored 40 runs with 8 boundaries. Parthiv Patel scored 21 runs with 3 boundaries. Virat Kohli and Yuvraaj Singh did a great job after that. Virat Kohli scored 31 runs with 4 boundaries. Yuvraj Singh also scored 31 runs with 2 boundaries and an over-boundary. But the drama started then. AB Devilliers and Albie Morkel were on both sides of the wicket. Royal Challengers required 9 runs in the last over. AB De Villers scored a massive hit. But Lynn showing his acrobatic skills jumped and caught the ball at the boundary line which otherwise would have ended as a six. Vinay Kumar bowled the last over. He restricted the Royal Challengers Bengaluru with only 6 runs in the last over. Kolkata Knight Riders won the match by 2 runs. Lynn’s catch was considered to be the turning point of the match. Royal Challengers Plan of playing Sunil Narine cautiously did not work. Good article, I enjoy reading about sports. Loss of Royal Challengers Bengaluru had opened up the tournament.